You might remember this... back in December I tested a paper piecing pattern for Diane @ From Blank Pages. And the block had been hanging on my inspiration board, unfinished all this time; mainly because I couldn't decide on how to quilt it. I knew I wanted to make it into a mini quilt to decorate my sewing room (I love looking at it every time I come into the room), but I had my doubts about the quilting. I wanted something soft that wouldn't overpower the design. Thus, hand quilting was my final choice. To contrast the straight lines and at the same time complement the geometric design of the block I hand quilted circles all over. 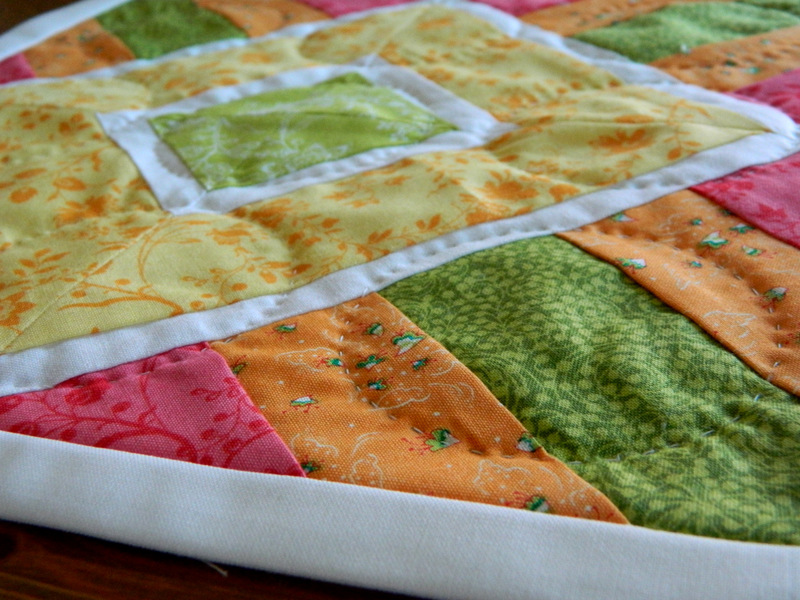 I really like the texture the hand quilting gives to this quilt. 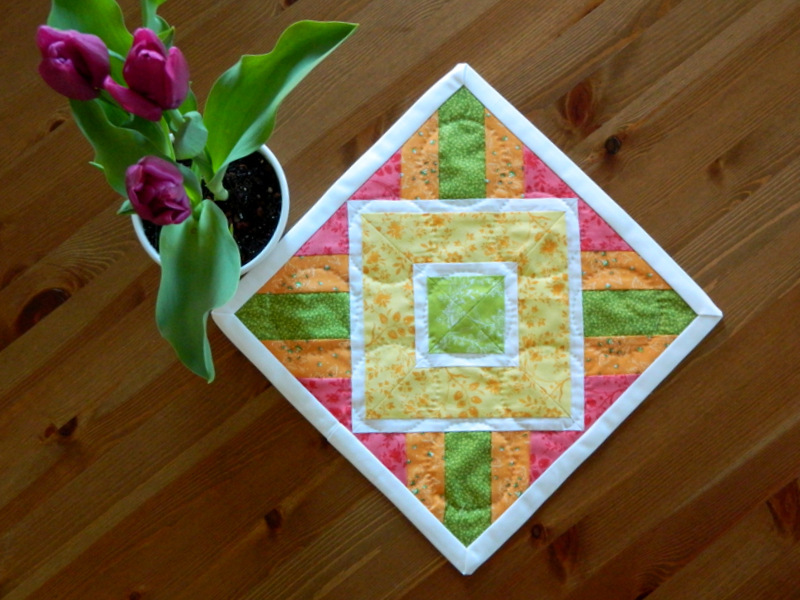 Hand quilting takes a bit more time than machine quilting, but is totally worth it. I'm looking forward to creating another project using this technique.